← Party Hardy, Daddy & Mommy! I’ve blogged a little (very little) on the fact that my daughters are growing up bilingual and bicultural — this is usually the reason they are often called “haafu” in Japan (I despise this term, but I’ve already written about it and there’s much more discussion in the upcoming book). But I haven’t really said much about what we do to help our kids maintain both languages. It goes without saying, naturally, that our kids speak Japanese fluently. We live in Japan. My wife is Japanese. Our relatives here are all Japanese. The kids go to a Japanese nursery school. And yet, for some reason every time we meet people…at the library, at the supermarket, in a restaurant or shopping mall…the first question they say to my oldest daughter is, “Can you speak Japanese?” As if having a non-Japanese father automatically disqualifies them from having any Japanese language ability. Ahem. Getting ahead of myself. But back to bilingualism. Speaking to our kids is simply not enough. I’m talking about learning to read. Even before my oldest daughter was born, my wife and I would take turns reading aloud in both English and in Japanese. Yes, before the baby was born. Studies have demonstrated that fetuses can hear the parents’ voices in the womb, and the more the parents talk, the closer the relationship and the faster the parental-child connection. Obviously, once my daughter was born we continued to read (and of course talk to her). We have many, many pictures of me reading one of our daughter’s favorite books at the time, Hop On Pop. She was especially fond of the picture of “Red.” Hmm. We were eager to have books readily available for our kids…and not just available, but in a location where the kids could choose the books they wanted, when they wanted. So we arranged for the cubbyhole built into the staircase in the living room, and we had two small bookcases put into the kids’ play room. It was up to us to provide the materials. We make frequent trips to the library in town, to the nursery school library, to our respective university libraries, to borrow children’s books in both English and in Japanese. We got lots of books from generous relatives, and we bought many more ourselves. We have read books to our kids every single night of their lives. No joke. Even on trips to the US, Singapore, and Australia, in the hotels and in the airplanes, too. Lately, we’ve begun having our oldest daughter repeat the words from English graded readers after us. She’s picked it up fast. She already learned Japanese hiragana and katakana (the dual syllabary system for reproducing Japanese consonant/vowel combinations). She’ll learn kanji (Chinese characters) in school very soon. But the teaching methods for English in the schools here still leave much to be desired: rote memorization, translation, copying by hand onto paper…boooooring. She repeats after us, then follows up by summarizing in Japanese the scene on the page in front of her, adding plenty of comments and opinions of what the characters might be thinking or what might happen next. At the end of the book, she invariably summarizes the entire story and tells us what she would have done, were she the main character. Then she chooses another book. If she can’t read at least two books a night (sometimes 3 or 4), she gets upset. She’s going to be 6 in May. Now, why can’t we get junior high, senior high, and college-age students of English as a Foreign Language to do this? 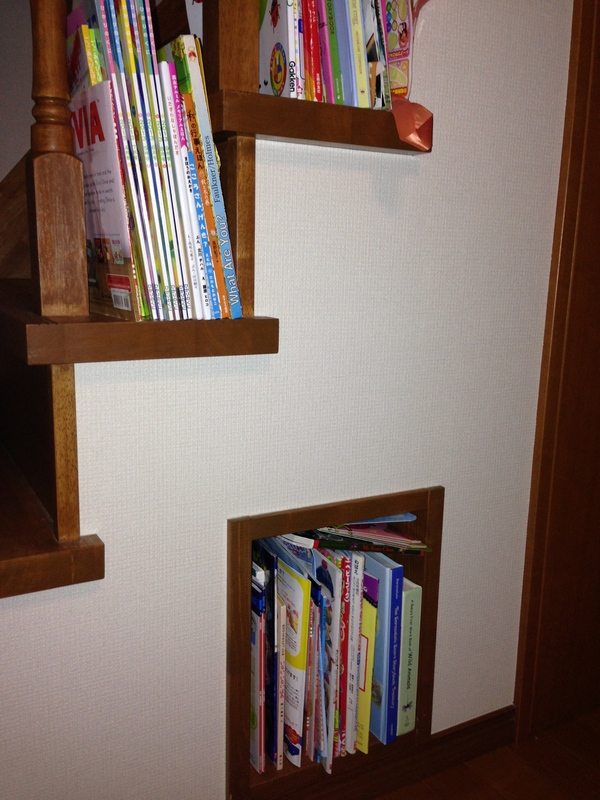 This entry was posted in education, Japan, Japanese, reading and tagged bilingualism, books, child care, child education, EFL, ESL, haafu, reading. Bookmark the permalink. It’s a long road, but a worthy one. I’m glad it’s working for you. We are at a similar stage with a 5 and 7 year old, both reading in both languages. To be fair to the students of EFL you mention, reading is going to be harder for them as they haven’t had the exposure to English grammar and vocabulary that kids like ours have. What would be interesting to know, though, would be the effects of extensive reading in L1 on L2 acquisition. I’m guessing there are a few studies out there…..